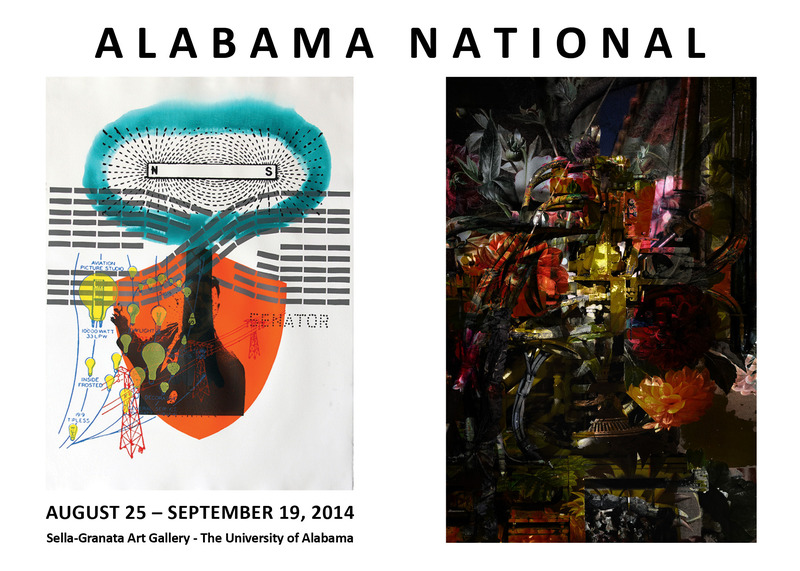 The University of Alabama Department of Art and Art History presents the first annual Alabama National, a fine art juried competition open to all artists 18 years or older. The prospectus is here. 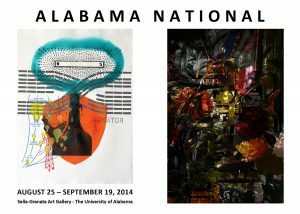 The Exhibition: The Alabama National exhibition will be held August 25 – September 19, 2014, in The University of Alabama’s Sella-Granata Art Gallery, in historic Woods Hall, Tuscaloosa, Alabama. A reception will be held Thursday, September 4, 6-8 pm, and will be open to the public. The Juror: Alabama native Robert Sherer is an internationally exhibiting artist known for his use of unconventional media and for four incidents of art censorship. His career in the arts has also covered such disciplines as arts juror, critic, lecturer, educator, art dealer and international art competitor. 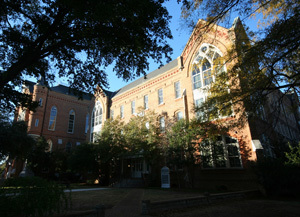 Sherer studied painting, drawing, and printmaking at Walker College, Atlanta College of Art, Georgia State University, Rhode Island School of Design and Edinboro University of Pennsylvania where he received his Master of Fine Arts degree in 1992. He represented the USA in the 2002 Triennale de Paris, the 2001 Florence Biennale and was awarded a Lorenzo de Medici (il Magnifico) medal for his mixed media work in the 2007 Florence Biennale. His work is the subject of an art book, Blood Works: the Sanguineous Art of Robert Sherer, published by Kennesaw State University Press. Art galleries currently representing Sherer’s work include Kunstbehandlung Galerie, Munich, Germany; ArtExpo Internationale, Venice, Italy; and Lyman-Eyer Gallery, Provincetown, MA. He is a professor of art at Kennesaw State University in Atlanta. Information about visitor parking is here. Parking is free on campus in a legal space after hours and on weekends.